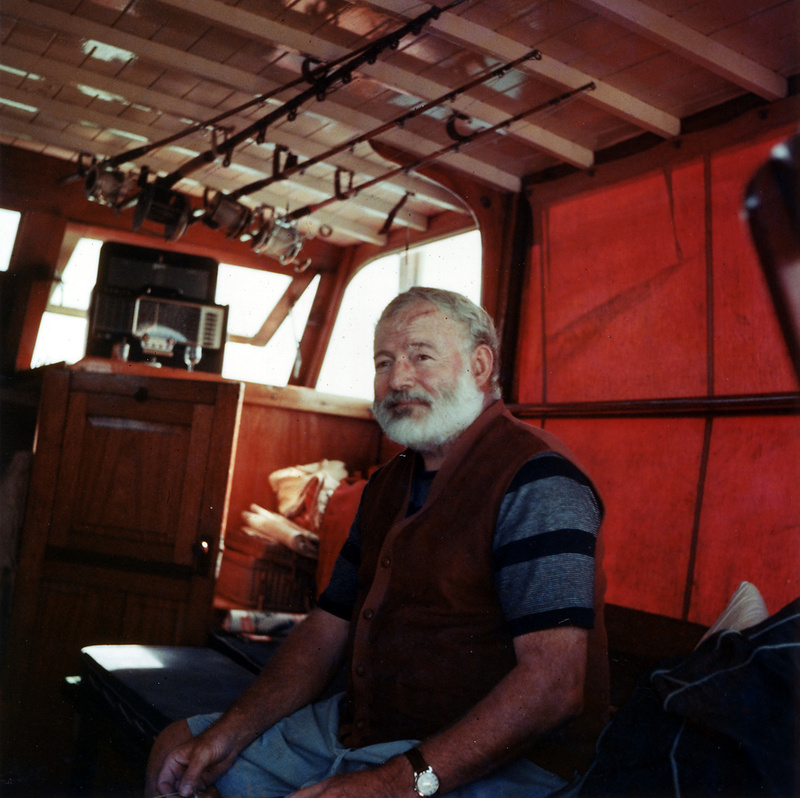 Ernest Hemingway in the cabin of his boat Pilar, off the coast of Cuba, 1950. Credit: Wikipedia.org. One of the fundamental building blocks professional writers will attest is that when writing, you should show, not tell. Ernest Hemingway was a proponent of this approach, but it came naturally to him because of the way he saw the world. For most writers, however, it's a conscious effort to remove summarizations and editorials from their writing and simply describe the scene. By trusting the reader to come to their own conclusions, the writer is allowing their work to have a deeper impact and resonance because it's being interpreted and filtered by the reader's past experiences, perceptions and beliefs. The creative problem solving techniques you're using in Compass are designed to stimulate new ideas and add definition and realness to the future vision you have when you are living your ideal work experience. There are many creative and fun ways to build this world, and you are in the heart of doing just that. Do you feel more connected with what you are creating? Is each Play making you feel like you are one step closer to attaining your ideal work? You should be answering yes to these questions by this point in the Course. If not, you will begin to experience that with the Plays you are doing next. Remember to think about these Plays and re-read the stories you are writing. Saturate and savor all that you are building and creating by being in this Course. This Play is storytelling with a twist: you're going to story-show. Your writing will be a detailed exploration into the environment you choose that you are experiencing while doing your ideal work. You pick the setting, the cast of characters, the weather, the props and all of the elements that trigger all five senses: sight, smell, touch, taste and hearing. This is a two-part Play where you will first draw a scene and then you will describe that scene by writing using the show, don't tell, style of Hemingway. It may seem easier to include intricate details in one creative process over the other, so the challenge is to make sure that you're delving into details equally in your drawing as well as in your writing. Draw (avoid any written words if you can) the office, workshop, building, conference center, desk of your ideal workplace. For example, if your ideal work experience is running a marina, you can draw the boats, docks, snack bar, boat shop, dry dock storage, trailers, patrons, captains and boat enthusiasts and all the activities and goings on at the marina. Even a few sea gulls can fly by! Be as detailed, colorful and explicit as possible, and include yourself in the scene. Remain loose and childlike in your drawing, stick figures, please. Write about what you see. What is happening? Where are things located in proximity to one another? What is the weather like? What time of day is it? Who else is there? Where are your employees or customers and what are they doing? Get close into the scene and look at the details of something small such as the shape of a coffee mug or the way the clouds hug the horizon in the distance. Don't worry about being a fantastic writer and using the proper grammar or styling. This isn't about that since this writing is only for your benefit. Just envision the scene in your mind's eye and then record it factually as well as how it makes you feel. The emotional component will be captured via your five senses, so remember to touch on all of those as you do your writing. The mammoth cat cut through the waves like a hot knife through butter, sea spray cooling our fronts as we sat forward on the trampoline net, feeling huge appreciation for our opening day at the marina. The spinnaker was ballooned out, the blackness of it turning to gray as the sun beamed through the sheer sail material. The rise and fall of the boat was soothing as the stress from preparations fell away from our bones. We raised our champagne flutes to toast our success and the fizzling sweetness tickled my throat as I emptied the glass with one long pull of thirst.